The Barbu dUccle is a breed of small-sized, ornamental chickens that originated in Belgium. 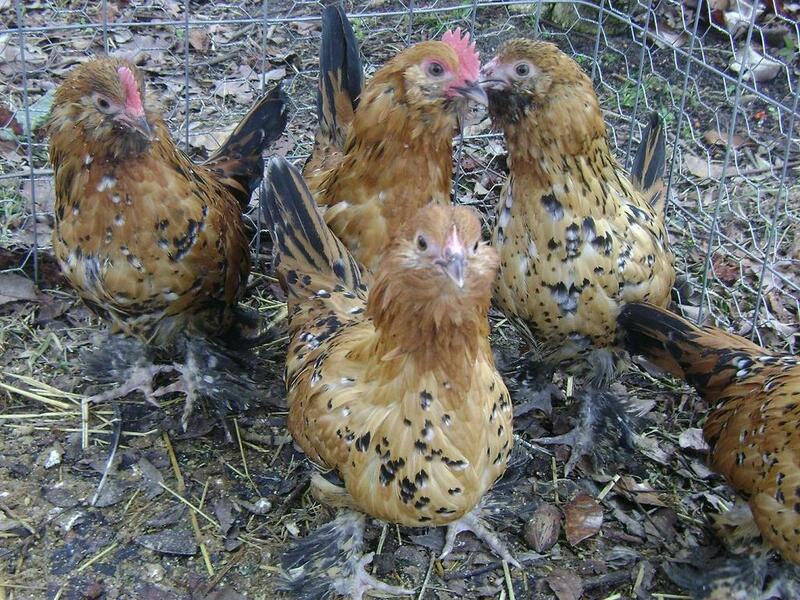 They are true bantam chickens, since they do not have a larger counterpart. 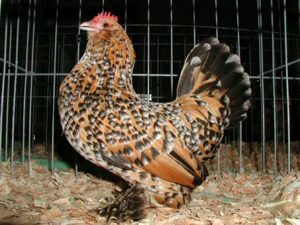 This breed has an incredibly good nature, and is famous in poultry farms and houses for their good looks. 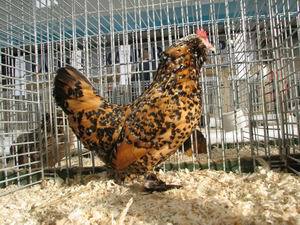 Barbu dUccle is not a meat or egg breed, but are mostly used in exhibitions and shows. 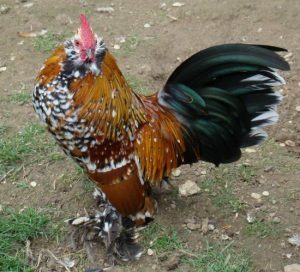 In the 1890s, the Barbu d’Uccle was developed for the first time by a breeder Michael van Gelder in a place called Uccle, located on the outskirts of Brussels in Belgium. 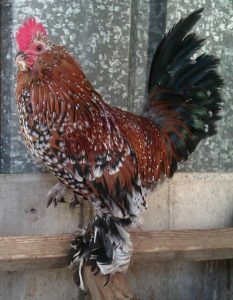 It is thought that, in order to produce this new breed, Gelder crossed the Antwerp Belgian with a Dutch booted bantam (Sabelpoot) to produce the new breed. In 1905, this breed was first shown to public. Later, in 1911, Arthur O. Schilling, a poultry enthusiast and American artist, who went to Belgium to visit C. S. Th. van Gink, a contemporary poultry artist, saw a few specimens of the mille fleur variety of these bantam birds, and took home to America a few of these. 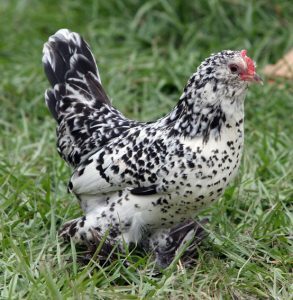 Eventually, in 1914, the mille fleur variety of this new chicken breed got recognition by the APA. In 1911, they were exhibited for the first time in UK at the Crystal Palace show. These bantams are born-friendly, and can do well even when in confinements like in small gardens, since they hardly have any intention to wander off too far. They love interacting with people, and are also good with children. They are capable becoming tamed very easily. However, the male Barbu dUccles are prone to become aggressive during mating season, for which, a single male with a group of females is good during this time. It is also important to keep them mud-free, since this may damage their foot feathers. The female Barbu dUccles make good mothers, and begin taking intense care from the hatching of its chicks, until they are grown up. They very easily get broody – a trait for which they are much known. 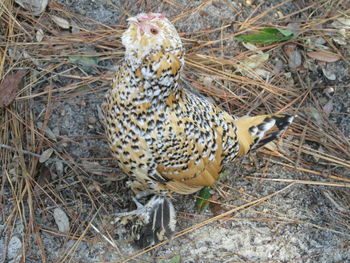 They lay small, white to creamish or light brown eggs, each weighing about 30 grams. The ‘Mille Fleur’ is their most popular color combination.